Provide comfort for the family of Sandra Earsing with a meaningful gesture of sympathy. 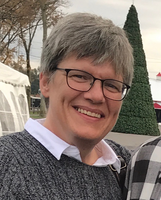 Sandra L. Earsing, age 57, of Lily Dale, N.Y., died unexpectedly January 29, 2019. Sandy was born August 28, 1961 in Buffalo to Sharon (Klenz) Earsing and the late Robert Earsing. She grew up in Silver Creek, attended Silver Creek High School, and Millard Fillmore Nursing School where she graduated at the top of her class. Sandy went on to become an incredibly talented and gifted registered nurse, and in fact, became the youngest person in WCA history to be senior staff and run the ICU. During her career as a nurse, Sandy was dedicated to bringing comfort and joy to all those she cared for over the years. Not only was Sandy a great nurse, she was an amazing mom, dedicated daughter, and loving partner. She was volleyball and softball star, loved traveling, and always looked out for those in need. Sandy is survived by: her daughter, Sarah N. Miller, formerly of Perrysburg, N.Y.; her mother Sharon Earsing of Lily Dale; her partner Rocío Leiva López of Turrialba, Costa Rica; a brother Scott Earsing and his wife Jill Earsing of Silver Creek, N.Y.
Friends may call Tuesday from 2pm to 5:30pm at the LARSON-TIMKO Funeral Home, 20 Central Avenue, Fredonia, N.Y., where funeral services will follow at 5:30 pm. A reception to celebrate Sandy will be held immediately following at the Fredonia Beaver Club, 64 Prospect Street, Fredonia. On-line condolences may be made at larsontimkofuneralhome.com and donations can be made to Shatterproof, a national nonprofit organization dedicated to ending the devastation addiction causes families, at www.shatterproof.org. 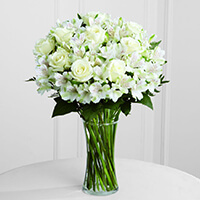 To send flowers in memory of Sandra "Sandy" Earsing, please visit our Heartfelt Sympathies Store. Memorial donations can be made to Shatterproof, a national nonprofit organization dedicated to ending the devastation addiction causes families, at www.shatterproof.org. Reception to follow the funeral service. Mary Beth and Maureen sent flowers to the family of Sandra "Sandy" Earsing. Mary Beth and Maureen purchased the The FTD Cherished Friend Bouquet for the family of Sandra Earsing. Rest easy my friend. I will never forget that time you were there for me when I needed a friend to lean on. My condolences to the family. Continue to let your fond memories of Sandra warm your hearts as you await the fulfillment of God’s promise to resurrect our loved ones. John 5:28, 29.